If you combine a [in the manner of] cappella [church or choir] in the Italian with a group of boys in a particular nordeamericano scuola superiore what do you get? In this particular case, Hogapella. 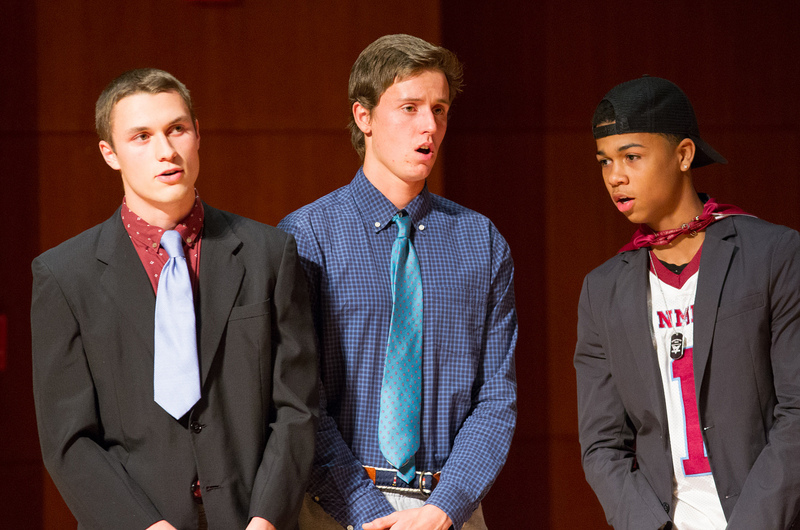 Hogappella is the vocal group for which Nathaniel auditioned this fall and in which he is now performing. 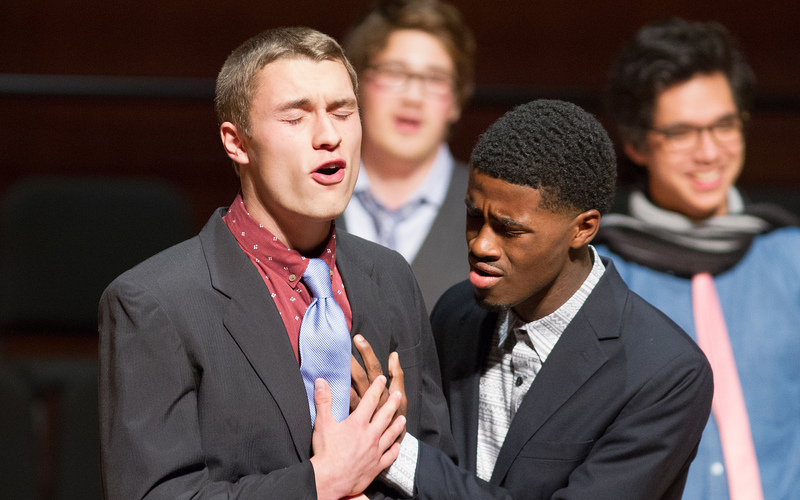 In fact, at the annual NMH a cappella festival his group performed with groups from Smith College and Northeastern.